With just ten aircraft, Air Malta is one of the World’s smaller airlines – but one that provides a vital link to and from the island archipelago in the middle of the Mediterranean. 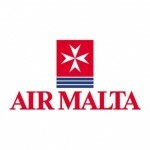 Currently negotiating a restructuring plan with the European Union and the Maltese government, Air Malta management have revealed part of their plan for the airline’s future. With a new livery and corporate identity, it’s hoped that the carrier will project an image that’s both modern and also relevant to the traditional colours associated with the islands. It remains to be seen how successful the rebrand will be as part of the company’s overall strategy, given the EU’s constraints on state-aid. – and a few more recent flights suggest that there’s still some way to go. However, the strategic importance of the airline to Maltese nationals and expatriates, as well as its critical commercial place in supporting the islands’ tourist economy, will hopefully ensure that all involved with the airline’s future will be taking a fresh look at every part of the business. A new livery is perhaps a good way to remind everyone that change is afoot.